Google has announced a change to Google Apps for Business that effectively ends the ability to create free accounts for groups of 10 or fewer users, in favor their Premium $50 per user per year plan. In a blog posted late yesterday, Google Director of Product Management for Google Apps Clay Bavor said that businesses were ‘outgrowing’ the free version and want things like 24/7 customer support and larger inboxes. Existing Google Apps for Business users with free accounts will be able to carry on using the service without paying the subscription fee, but businesses small or large wanting to sign up from now with have to pay. The paid package includes around-the-clock telephone support, a 25GB inbox, and the company's 99.9% uptime guarantee. 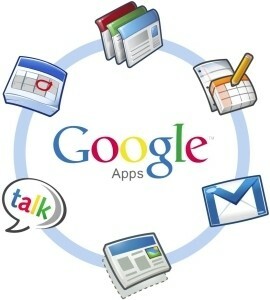 Google says the change will allow it to offer a more consistent service to business customers. The service was born in February 2006 as Gmail For Your Domain with an invitation-only beta, and graduated to the Google Apps name a few months later with Google Talk and Google Calendar integration. As more features were added over the years, limits also got tighter in a bid to get more paying customers, going from the original 200 free user limit -- which was shortly changed to 100 -- to just 50 in 2009 and 10 in 2011. Google Apps for Education will continue to be available as a free service for schools and universities, and apparently it is still possible to get a free single-user Google Apps account as well. Earlier this year Google revealed more than 5 million businesses use Google Apps, although the company did not make a distinction between customers who use the free or paid versions.